Large Dubia roach feeders for large animals like tegu, small monitors, medium to large beardies, (very) large chameleons, and more. 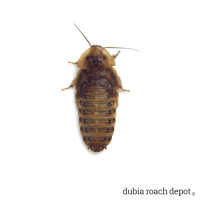 Maxing out at about 1-¼ inches, these guys are close to the largest Dubia roaches we sell. If your animal wants or needs sizable feeders, these large nymphs might be just what you’re looking for. 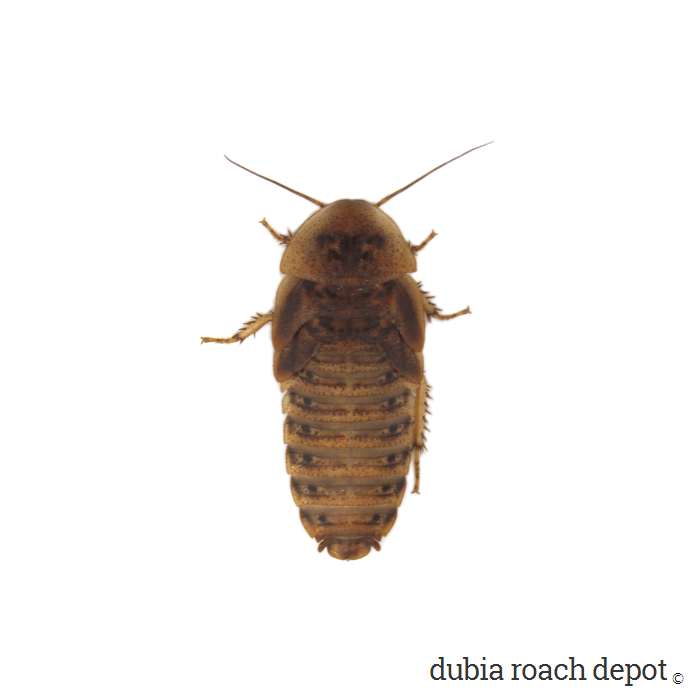 As usual, our standard Dubia roach feeder description applies. 1-¼ inch nymphs are super nutritious, eminently gut-loadable, very easy to keep, animals love them, and so on. They’re also large. They weigh in at about 1.5 grams each and come loaded with all the stored nutrition that gorging on highly nutritious foods for four months provides. In fact, we feed our Dubia nymphs so well it’s almost disturbing, but our efforts show in the quality of our nymph feeders and adult breeders. One notable thing about these roaches is that you can gut load them to the extreme. At this size, Dubia can fill their empty stomachs with up to twice their body weight of food! Make it nutritious foods with the vitamins and minerals your animal needs and these roaches turn into nutritional delivery machines. Feed them awesomely nutritious foods, dust them with a little vitamin and/or mineral powder, and you’re off to the races with huge nutritional benefits for your animals! They will thank you with strong feeding behavior and good health. Dubia roaches are outstanding feeders, and nymphs are particularly nutritious. Customers routinely report to us that their animals love them so much they go crazy when the roaches arrive. They say their animals can’t get enough. This makes sense to us. Given what we feed them and the effort we put into raising healthy roaches, it sounds about right. If an animal exists that hates Dubia roaches, we haven’t heard about it. So if you think these Dubia are about the right size, give them a try. See how your animal responds. If they love them so much they can’t get enough, be sure to let us know! There is some size variation based on hydration and feeding status. 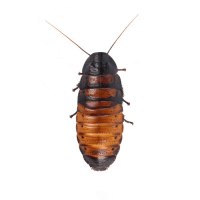 We generally sort these roaches by length up to 1-¼ inch, and we try to get them as close to that mark as possible. You may find that their size increases a lot after they’re fed, or if they haven’t eaten for a while.